I don’t know how long ago my mother in law (now 91) and I got talking about how much I liked her little green ceramic Christmas tree that lit up. It reminded me of the ceramic trees my dad had and that his mother (my nana) had. I always loved those trees. When I think of them I think of so many christmas’s in the deep past of my life. My Nana had the ceramic tree but it was white and she placed in one of her condo front windows and I also recall she had the little Swedish angel carousel that would spin around and around when you lit the candles under them. I loved when she had them out over the holidays and she would light them for me. We’d turn out the lights and light the candles. I can still feel the warmth and the tinkling sound of the bells. My dad’s ceramic tree came to him well after he married my stepmother Jean. It too was white and would sit in our living room on a table -(the living room was the forbidden room unless we had company). I’d admire it from afar. Then it followed them to a new home and I was allowed to admire it close up BC by then I was an adult and a guest in the house by then too so I was allowed in the living room. It may have followed my dad to Florida after my stepmother died – and perhaps it will surface as my brother goes through some of my dads items. Maybe my nanas is there too. I can’t remember where that tree went after she died. Perhaps the one my dad had was hers. That’s a thought that just came to me. This is where the memories blur for me. As a young adult years ago -before my marriage – I got to thinking about those trees and I really wanted one of my own. I did ask my dad if he used his and he said he did. It was his only tree as he had given up tree decorating some years prior when he sent me a huge box of Christmas decorations from my childhood. I still have many but they are beat up. I couldn’t find a ceramic tree anywhere. They must have gone out of style. I may have even looked on eBay for them a time or two over the years but I never bit the bullet and got one. I’m not sure why. Maybe cost. Maybe I never found one there. Again memory blur. But sometime over the last 18 years that I’ve been part of the Sweeney family Christmas I must have begun the dialogue about my love of my mother in laws( mom sweeney) little green ceramic tree. I would tell mom Sweeney about my family memories with the ceramic trees. One year a while back she mentioned to me that she was going to leave me that tree. I just laughed uncomfortably because to think I’d lose her wasn’t anything I could consider. She’s been such a friend to me – it’s hard to think of her not being here. Last Christmas Eve my Father in law died. How we all got through Christmas is beyond me. Not long after that mom sweeney began to get rid of things in her house. And when I say rid I don’t mean that in a bad sense. She carefully chose recipients of her most important items and she began giving them away to each of us. I wrote back last spring that she gave me my father in laws camera. A beautiful old Zeis. It meant so much to me that she would gift me that. It’s a beautiful piece and she knows what photography means to me. She agreed but I think she was sure she’d be gone by her next Christmas. Then spring became summer and she moved to assisted living. She didn’t think she’d be in there very long- and it’s been a hard transition. And as this holiday has loomed she’s been feeling worse physically -and mentally she’s sad. She misses her husband of almost 70 years. She’s not living in the place she had Christmas for well over 50 years – her home not far down the road from her assisted living. A house mostly empty now and set to go on the market in January. She’s lonely. 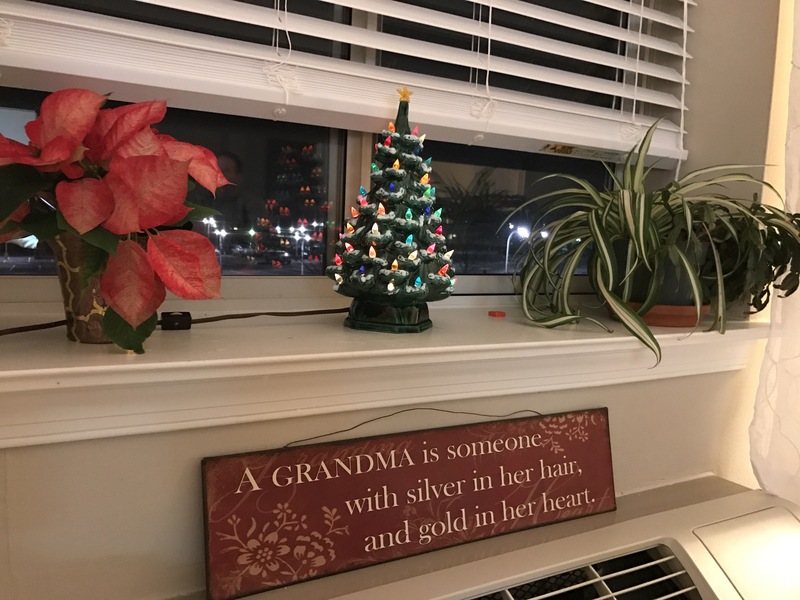 So one day a couple weeks ago Kevin and I made a surprise visit to see Mom Sweeney and we brought her that little tree and placed it on her window ledge. She smiled. Her voice is so soft now we can’t always here her. She reminded me that it was my tree now. I’ll take stewardship of it but it will always be hers. That’s a promise I intend to keep. Oh how I love that lady. The day Santa got angry -(with me). I officially became a mom the day before Mother’s Day in May of 2001 – except I did not know it yet. I didn’t find out until Mother’s Day – that is when my husband was able to call me all the way from Kazakhstan (it s country far away – look it up here ) where he was in the process of adopting and then bringing our son home. That is were my first child(he is our youngest – it is complicated) was born. I wasn’t in the court room that day in Kazakhstan as I opted not to travel on the trip to get him. My incredible husband travelled alone on an over 2 week journey to get our son. When I answered the phone that Mother’s Day morning and heard ‘Happy Mother’s Day- you’re a mom” my heart melted and warmed and I cried tears of joy. My dream of becoming a mom had come true. I had never met this little 8 month old boy but he already had my heart. I was 37 years old when I became a mother. I had waited a long time. 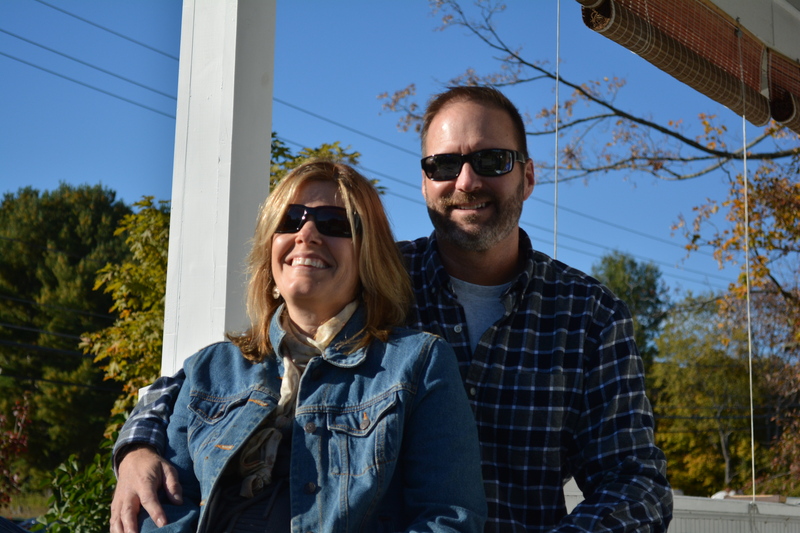 I remember the first days after Luke and Kevin arrived back home – Kevin was in a stupor after traveling with an infant with double ear infections across the world. Luke cried much of the trip and if it were not for the kindness of some sweet Russian woman who took Luke for a while so Kevin could rest I am not sure my husband and his precious charge would have made it home. Upon arrival on U. S. soil aside from kissing the ground Kevin became sick with some Kazak bug and slept for 14 hours straight. I had never cared for a baby really and I was thankful Luke slept much of the first day he arrived home- but after that I remember being in shell shock. You learn fast! How thankful I was to have had many experienced moms to seek out answers from. I had spent 35 years only caring about myself -and then Kevin- but he didn’t need constant care and attention. At 37 I was so self absorbed but I didn’t realize how much until I had another human to care for 24/7. I was in awe that one little person needed so much. It was in those first months after Kevin went back to work and I worked part-time but spent the rest with Luke that we bonded. I remember the day I realized that I would die for my child- a feeling you can’t explain but parents know it. You don’t have to have a child from your own body in order to love them. It is something we might think in our heads but a human heart is ever expanding when we open ourselves up. Luke changed me – I was his mom. Having waited for so long to become a mom I wanted to do all the mom things that I had missed out on. I wanted to take Luke to the park – we did that a lot. We joined a mom’ s club and went to their activities. We began parent and child swim class. The list goes on and on an on. I had spent years longing for kids to dress up and take out for Halloween. We were so jacked up about it that on Halloween in 2001 we had a date in court to readopt our son in Maryland court- something we had to do because I hadn’t traveled to Kazakhstan. We took Luke dressed up in his halloween costume to our early morning court time and I think the entire room swelled at the cuteness of the little boy dressed like Tigger with his new parents. I know it was probably the best part of the day for the judge. It was one of the best days of my life. For so many years before motherhood as I was shopping in the mall at Christmas time I would watch the kids line up to sit in Santa’s lap. Each one cuter than the next. Lines so long they wrapped almost to the escalator. I was not much for waiting in line- I am still not- but I always pictured myself waiting in that line with my future child. At one point the hope of being a mother almost felt like it was being squashed as my husband and I dealt with fertility issues with no cure in site. During that time a long line to see Santa seemed like a reward to be cherished. I wanted that prize. 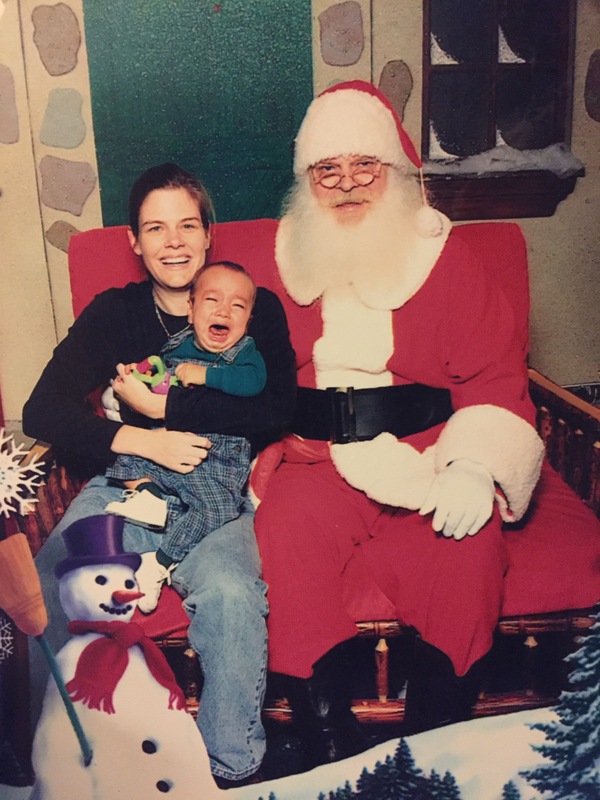 So you can imagine when Christmastime came around in 2001 I wanted to take my now 15 month old son to see Santa for the first time. My husband and I planned our visit for after dinner so Luke wouldn’t be hungry. We dressed him in little overalls and packed his stuffy and blanket and headed to the mall. We rolled up like excited kids to the long line that wound it’s way down to Santa. I was beaming – probably chatting in line with any parent who would listen. The weariness of parenthood and the apathy that can come with it hadn’t fully set in yet and it was Christmas after all. Then Santa got mad. At me. Pisser. After waiting in the line for over an hour – and yes even my elation was beginning to fade- we got close to the moment of truth and Santa’s lap – well a bench as it turns out. He had littles on his lap and bigs sat next to him. It was just about our turn. We began to give info to the elves that were helping santa. We paid and began the short walk to Santa’s lap/bench – and then..Luke saw Santa! Oh how his eyes lit up- and his mouth opened – and out came a huge wail! This was not the way I pictured this moment. In my dream, my kid was angelic – a cherub- longing to go into Santa’s arms and sit on his lap. Luke was beside himself -this was not happening- but it was- huge wails of fear. The elves told me to go up to Santa and lets see if we could get him calmed down. (really ? closer?). The closer I got the worse it seemed to get. The elves and Santa seemed determined to get this kid in a photo. So they told me to sit next to Santa with Luke in my lap. I wan NOT dressed to be in any picture. I was still in the “lets make the kid look -good screw how I look” mode of new parenthood. I had to get in the photo? I don’t recall now why Kevin didn’t get in it. Kevin was much better at calming Luke down- he is calmer by nature than I am. Santa was not happy because we were taking up time and also when one baby cries- well- it seems to set off other baby alarms and other babies begin to cry and then its a freakin’ cry fest. Somehow I sat down with Luke in my lap- he was sweating and I was freaking out inside. The look on my face in the photo is me trying to not cry. We got the shot -up we jumped- see ya Santa. But NO Santa had to make me feel worse… Santa began to scold me -Santa was mad- at me!- he said it was all my fault and that I should have backed up to the bench with Luke looking out at the crowd and then sat down. I made him cry because I came in straight so that he saw Santa. No freaking Elf told me to try that Santa….and eff you Santa! But I said nothing- Kevin and I grabbed our baby stuff and our stroller and went to find a place to calm Luke down while we waited for the god forsaken photo to be ready. Santa had nerve. They called our name and Kevin went to get the picture. We took a look at it and we broke out in such laughter people were staring. A photo that would live in Sweeney infamy. One that to this day we show Luke – who is now 15- and we all laugh- even him. Sadly we have other pictures with the same Luke scream face…the first haircut- maybe I can dig that photo up…yes Luke was notorious for open mouthed wailing. Too bad -mad Santa- you didn’t wreck my day. You gave me a great story and I am very thankful for that day no matter how it went-because it was the beginning of many years of parenting- the good and the not so good- but it is a journey I never thought I would be on and every milestone – including the first crazed trip to Santa (we never went back to that mall for a Christmas picture) was a blessing to me. I know how lucky I am that God found this little sweet soul (and he is still sweet in his stinky teen body)to be my son. I will never forget the firsts – we are still living them with all three of our kids. Sometimes we don’t know how lucky we are until we are given something we thought we would never have. I finally got my reward- a photo with Santa and my son. Another first- Luke at JC Penney. This was his “I am about to cry and then wail” look. I think we got him to stay calm for a few more poses but it wasn’t easy…this is before his first haircut..another first and fiasco! Trying not to cry for his first baby picture..why is this so cute to me? He’s 14 now. Hardly a baby. But to me I feel all the hurts the same as I did when my kids were young. See an injury and I get the tingling weakness in my knees and legs. He doesn’t need me as much anymore but he called me twice the other evening – once to tell me he fell at soccer practice and hurt his arm and would I come to get him and the second when I was on my way to make sure I didn’t forget him. (Sorry officer I had to use my phone while driving my kid is hurt). Forget him? I don’t think I’ve ever forgotten him anywhere ever. 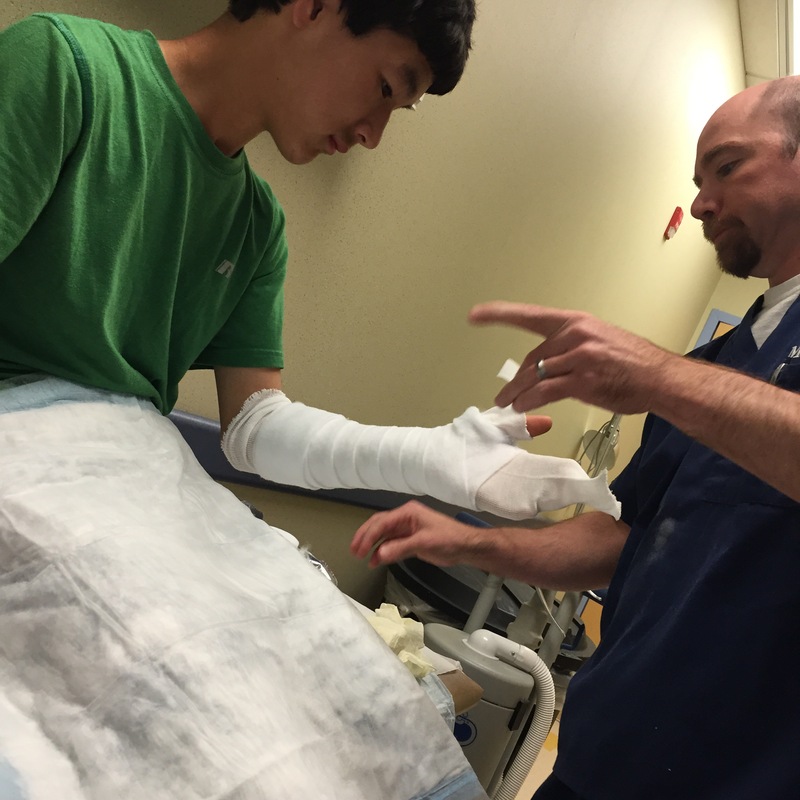 At the urgent care I asked him if he wanted me walk with him to the X-ray room. He said “if you want”. His way of saying yes. We worked on pain management with some snack wraps and a vanilla shake. It helped some but when he winced bc he moved it wrong those knees of mine got weak. I don’t make a big deal and I don’t hover but inside I want to make the hurt go away. Today we had to wait until late to get his arm set bc I had an appt that went 2 hours over making us miss our original appt at the orthopedic. So I felt bad he had to wait so long. He dealt with it well but I knew he was anxious to get there bc he kept asking when we had to go. 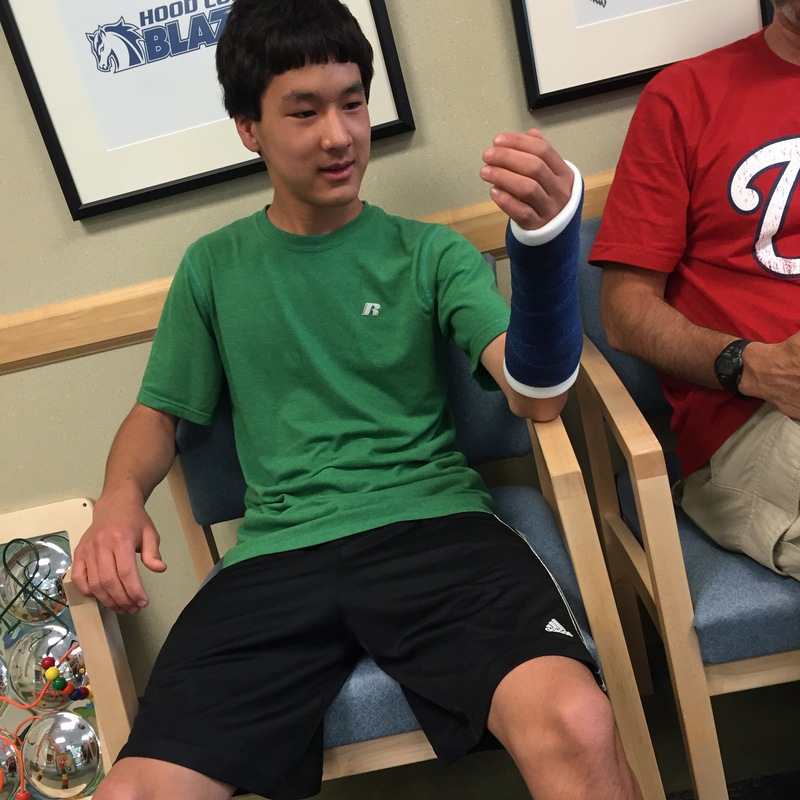 At the orthopedic he got to pick his cast color and that’s still cool to him at 14. The doc told him he still had quite a bit of growing to do. He was pretty excited about that as his goal is to be 6ft tall. He was in some discomfort after the casting and I had my go to fixes -ibuprofen and food. Somehow I feel like the offering of food will cure the pain at least for a while. And maybe it did. He chose grill cheese and fries. Comfort for sure. He’s going to to be fine. He’s already thinking of more exciting stories to tell his friends about how he got the break. I guess a soccer injury isn’t too exciting. Maybe he just wants to razz them a bit like boys do. He tried to get another day off of school but as much as I wanted to let him stay home and hang out (with me) I know it’s better for him to get back to school and not miss too much school work. I sent him in with Advil. He will be glad to be back even if he has some discomfort today. He will be with his buddies. I can just hear the jokes now. It’s hard to watch your child have pain -physical or emotional. When my child hurts their pain seeps into me. No matter how old they are you want to take the away pain. I know it’s that way for my mother as well-and I’m 51. Right now my 14 year old doesn’t need me as much as he used to. That’s ok -it’s how it’s supposed to be. But I suspect we will always need each other in some way. We will always be connnected by the thread of love. I often hear my own husband talk to his now 90 year old mom and I hear the child in him. It’s a beautiful testament to the love that helped him grow, soothed his hurts and then let him go live his life. The connection is always there. I realize the longer I am a parent the less I know about parenting. I wonder if other parents feel this way. I remember being a younger mom and getting in discussions about the best child products like diapers and sippy cups, and I had my opinions on proper kid bedding,potty training, and how to handle tantrums. I would freely sit in those conversations where moms sometimes try to one-up each other on all things kid related – the pow wows where moms bond (and we did – we needed each other)…but I don’t do this anymore. I don’t have any opinions for you I have no clue what I am doing! What I lack in knowledge I make up in tenacity. I keep on trying. My son Ozzy who I have written about on occasion has some special needs. We adopted him when he was 2 1/2 yrs old. Early on we saw he was brilliant and he was different. He was more difficult than my other two kids who are also adopted. You couldn’t direct him the way you might direct other kids. He is wired differently. He has had me baffled for years on how to motivate him, how to effectively discipline him, how to be the best parent to him that I can be. Frankly I was at my wits end last fall. I had no tactics left – nothing seemed to be motivating this very smart 14 year old kid. He had some bad vices that he liked very much but were not good for him – but at 14 you just don’t see the big picture. He was not trying in school. A child that consistently scored on the high school level on testing in grade school was now in high school and didn’t feel motivated to get good grades. He was angry – and showed it. I was hard pressed to find things about him I liked- but I did love him. Take away all my frustrations and hurt and anger and there was love. I know God brought this child to our family for many reasons. I have often looked up at the sky and wondered why did you pick me to parent him? I am not equipped. My husband felt the same. But God knows what he is doing even when we do not see it..and I trusted in that knowing. I turned to my blog to vent and to reach out. Some of my venting was not well received but some people who had been in the same trenches as I reached out and helped me. And it is amazing what a little support can do. Realizing you are not the only person who sometimes doesn’t like their kid and sometimes want to throw your hands up and just give it all up is so comforting in an odd way. The support was manna from heaven. God knows what he is doing. With a sense of renewal and some information in hand I moved forward to get some help for my son. As parents, we know that sometimes all we can do is present our children with opportunities but they are not always going to take them…it is the old you can lead a horse to water adage. With Ozzy I felt like my husband and I had dangled the proverbial carrot in front of his nose thousands of times to no avail. We then resorted to consequences and had gotten little improvement. I just wasn’t sure what else to do but I was not prepared to do nothing…so I figured out that maybe we hadn’t dangled the right type of carrot in front of him. Most teens know when you are trying to manipulate them as they typically have learned the art of manipulation as they have entered the world of social dynamics beginning probably before the 5th grade and by the time they hit high school they know when someone is trying to use reverse psychology on them. Ozzy was immature for his age and once in a while I could use reverse psychology on him but you just never knew how it might turn out. I really had nothing left – I was so lost on how to help him-I was tired of yelling and tired of threats and lectures. I figured I only had one thing left – honesty. I began to use honesty…not brutal in your face honesty – which am very capable of. I did not want not put him on the defense. I decided to just talk to my kid with compassion and respect and to see where that got me. It’s hard bc it can become a lecture especially if you sense the child isn’t really listening. I had to temper myself and try not to get mad if he wasn’t receiviing what I was saying. I’m not patient so this was a good lesson for me. Let me tell you that these occasions are when I am on my best behavior – I still have my bouts of anger and frustration but I have learned that that really does nothing but make the people involved more angry and nothing gets fixed. Basically I am just a parent who is trying to be a better parent -not a perfect one. In the long run Ozzy has to decide what he wants for himself in his life. I can lay out opportunities and I can be honest with him about his choices and possible outcomes – and he can choose whether to receive it. I can introduce ideas to him and hope he takes bite. He has huge potential but he needs to see that. So I began to help him to see it. I can try to show him opportunities that he might take but the rest is up to him. Any triumphs are his and his alone though I will bask in the light of these triumphs as a proud mom should do – and any failures are also his…but he will never fail alone because as every parent knows we feel every single one even if they don’t. And Ozzy has been triumphant and he has had setbacks. But I think we are seeing the triumphs outweigh the setbacks. I see that something has shifted in him. He isn’t as angry – he isn’t as closed off. He smiles more. He goes down to our gym and worksout bc he wants to be strong. He got on the honor roll last quarter. 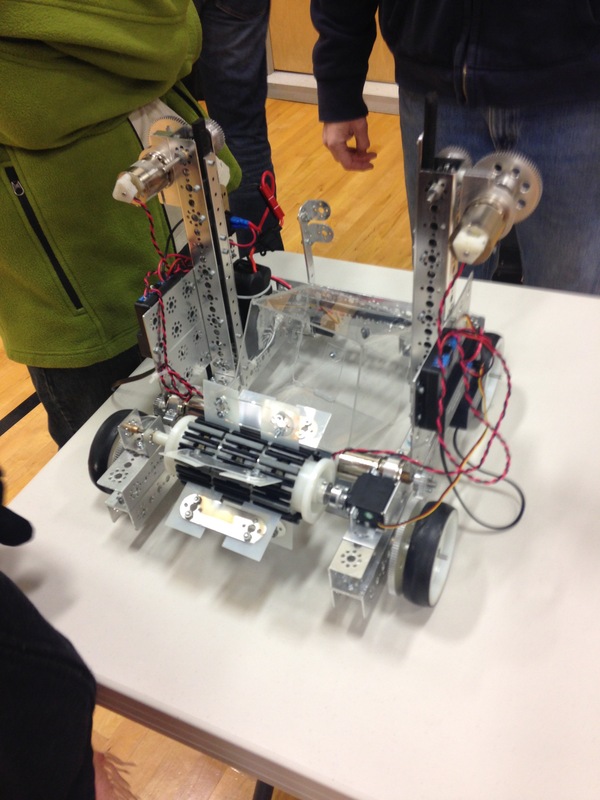 He joined a club that he loves – Robotics. It really made his experience in high school thus far bearable. He is becoming my kid that will try new things that might be out of his comfort zone but he jumps in anyway. He is quite amazing. 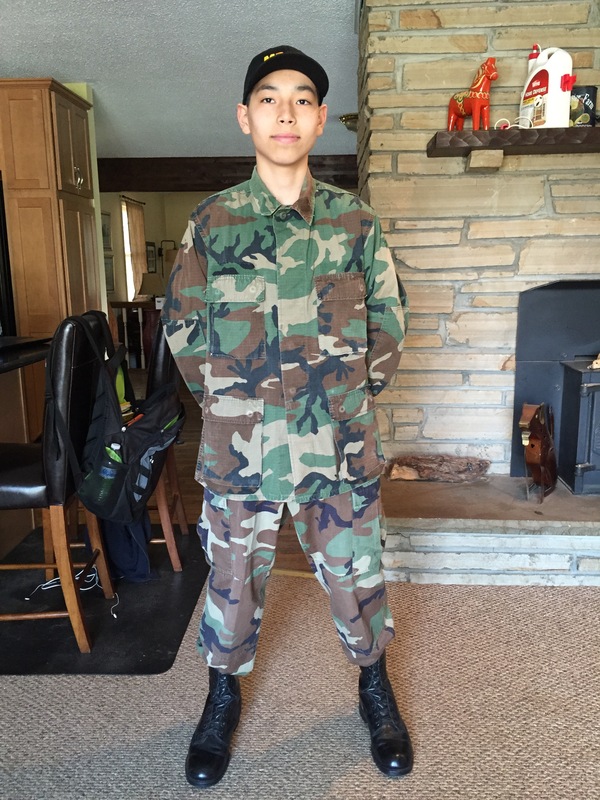 He just joined the Civil Air Patrol and he is elated. With his interest in Engineering he wants to learn more about Aeronautics. He still has to balance that ying and yang. He maybe has matured enough to recognize that some of his vices could have long term issues for him. The more he realizes we worry about his choices bc of how it can effect him and not because we are mean and don’t want him to have fun the more he will realize that to rebel is really hurting him. He’s trying to learn impulse control and that is hard for a person who has attention deficit problems. I joked the other day to his Civil AIr Patrol leader that I am Ozzy’s manager. But it’s a position I’m proud to have. It’s been a journey and I am a changed person because of it. God puts people in our lives for a reason -he thinks my husband and I are up to the challenge of raising this boy – and it has been a challenge on many days but it’s also a joy. I pray every day that Ozzy will keep having triumphs that encourage him. I hope that he embraces love in his life and he realizes how much he is loved -even when we are upset with him. I hope he sees that we are his biggest fans even though parents may seem to be buzz kills sometimes. It can be hard being a parent. I have reached the end of my rope many times with Ozzy and I have been baffled by what to do next- but somehow God has brought me support and love even though I’m not the perfect parent. I don’t know what the end of the story will be for Ozzy. But I’d do know that I’m going to try to make the chapters I am part of building blocks for later chapters that I hope will include more triumphs than setbacks.